This Sunday, October 30, is Reformation Sunday. "So what?" you may say. You may think to yourself, "What does the Reformation have to do with being Baptist?" Well, you might if you happen to be a Baptist like myself. Actually, Baptists like many other groups find their roots in the sixteenth-century Reformation of Europe. I said before that I believe (with all my Baptist bias on display) that Baptists are the crown jewel of the Reformation. 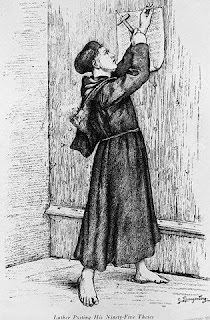 Martin Luther didn't do it alone, but when he nailed his 95 Theses to the church door in Wittenburg, Germany on October 31, 1517 he struck the match that lit the fire! The fuel for the fire had been stacking up for years. The dry and brittle thicket and thorns of corruption and ignorance of Roman Catholicism was piled high and deep, waiting for someone like Luther to apply a spark. Lutherans were first labeled Protestants (because they protested so much). In time any dissenting group that dared to challenge the authority of Rome both politically and theologically would bear the name. The Reformation, like any major movement in history, is complex. Historians have studied it from social, political, economic, or religious viewpoints. However, I believe that overall, it was primarily a religious movement with religious concerns at its heart. We people called Baptists didn't emerge until about a century after the Reformation started. At least, not in our complete form. There were various groups of Anabaptists that preceded Baptists, which held some similar views, especially a commitment to believer's baptism (the idea that only a professing believer should receive baptism and not infants). Some historians see Anabaptists as essentially the first Baptists and others do not. I am in the second camp, but that is a whole different conversation. What is most important is that we understand that the commitment to believer's baptism and to a congregational, free church style of government defined what made a Baptist a Baptist. On other issues there was often differences of opinion. Baptists ought to consider themselves second generation products of the Reformation, but products nevertheless. The recovery of the authority of Scripture for belief and practice reinvigorated Christianity. The gospel had been obscured from so may by hundreds of years of corrupt teaching and practice of Roman Catholicism. As people began to read the Bible it was inevitable that Rome would be challenged. Actually, Rome had endured such challenges throughout history, but had always been able to silence dissenters (i.e. kill them). However, circumstances during the Reformation allowed for successful dissent. In the providence of God, the time had come! As a good Baptist who understands my indebtedness to the Reformers, I will celebrate Reformation Sunday. I will try to inform my congregation of both the history and theology that is so important to remember and maintain. I will help them connect the dots between their own faith in the 21st century back to the 16th century. There are so many themes that I can employ to highlight the great teachings that flowed from the Reformation, such as the authority of Scripture, justification by faith alone, or the priesthood of the believer. I hope that your church as well will recognize Reformation Sunday. Or at least I hope you'll watch the movie Luther. I'll be watching it again this week as I prepare my message to renew my appreciation for those who have boldly walked before me in faith and on whose shoulders I now stand. It was inevitable that the long standing clash between Mormonism and traditional Christianity would spill into the political arena with Mitt Romney being the Republican candidate to beat for the nomination to run for president in the coming election. And, I suppose it was just a matter of time until a good Baptist pastor provocatively put this long history of differences in the headlines. On Oct 7, pastor Robert Jeffress of First Baptist, Dallas made public remarks that Mormonism is a cult and its beliefs are outside the bounds of traditional Christianity. Of course, these comments were met with the predicable political correctness from both the Left and Right. Although, Jeffress's comments were not given with any spirit of animosity, the content of his statement alone is widely regarded as hostile to civilized, American society. And frankly, I applaud him for subsequent comments that have been both civil and historically and theologically accurate. I think much of the reaction from the media and public is founded on ignorance. The Church of Jesus Christ of Latter Day Saints, a.k.a. Mormons, is a recent religious movement, less than 200 years old, whereas Christianity is over 2,000 years old. The rule of faith, including the canon of Scripture had been firmly in place for 1,400 years before Joseph Smith began the movement that would become Mormonism. 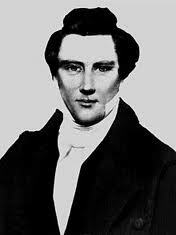 A cult is a deviation - which Mormonism is with its claims of further revelation through Joseph Smith. Through the Book of Mormon and other writings (and through their living prophet) the Mormon faith has added significant doctrine and teachings that is totally unsubstantiated by the Bible and certainly not corroborated by any historical evidence. From its beginning until this day, traditional Christian denominations have recognized Mormonism as deviant. Just because they speak about Jesus, doesn't mean they are orthodox in matters pertaining to Him or other matters. Since living in Hazard I have had considerable contact with Mormon missionaries-all young men from the American West in their 20s. I've literally spent hours in conversation in my home. We have eaten meals together, played basketball, and they have even come to hear me preach. After much discussion with one of these young men, he came back to my house on another day. He told me that after our conversations concerning the differences between my faith and his, he had determined that he could not call himself a Christian. I asked him what he then considered himself. He replied that he was a Mormon. It seemed to be quite a revelation for him. And let me say that I have enjoyed every minute spent with each Mormon missionary. Without exception each one has been respectful, intelligent, winsome, and likable. However, niceness and a moral center doesn't constitute a Christian. This is the difference that we must recognize. Could Mitt Romney be a good president? Possibly. I can't answer that question with any kind of certainty. However, Christians who have a historical and theological awareness of Mormonism need not to back away from the facts. It's important that our people in our churches understand the differences that exist that necessarily make Mormonism non-Christian. Our conversation with each other, with the media or Mormons themselves should never be mean-spirited or condescending, but it should be honest and bold. Now, whether as a Christian you could vote for a Mormon is a totally different question. I refuse to believe that a traditional Sunday school ministry is necessarily passe just because it's been around awhile. Sunday school originated in England in the mid 1800s. It was organized by churches to give children some basic education on Sunday because so many of them worked in factories from Monday through Saturday. 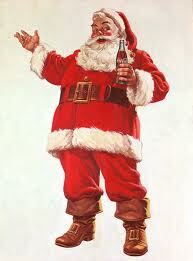 This was an era of unregulated industrialization both in England and the United States. Eventually regulation came and public education became more widespread and effective. 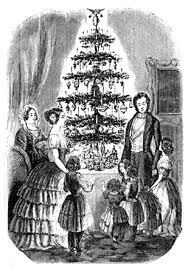 However, Sunday school had gradually become a staple part of many churchs' ministry. Instead of dropping the ministry, the focus of it shifted. Instead of focusing on reading and writing, the focus became religious instruction. Sunday school didn't catch on right away, and it had plenty of opponents. Some insisted that it wasn't biblical, because the early church didn't have anything like it. But many Christian leaders began to see that a well-organized, intentional Sunday school was a tremendous outreach tool as well. Here was a mechanism to segment the church into teams that in turn would reach out to bring others into the church. In Southern Baptist life Sunday school has been the so-called "bread and butter" of our week to week outreach efforts. There have been and will be come-and-go evangelism programs and emphases, but the Sunday school remains constant. However, in my life I have seen a gradual shift away from traditional Sunday school. Frankly, in some contexts that's fine. For example, new church plants are not typically (actually I can't think of one) going to set up a traditionally formatted Sunday school. Most likely they will try to employ something a little more trendy like "Life Groups" or "Connect Groups" or some other small group ministry with a really cool name. And that's fine too. Many times these groups will meet at times other that Sunday morning. And that's dandy. I pastor a First Baptist Church. And anyone in church ministry knows what that means- tradition. And, you guessed it, that's okay as well. We still have Sunday school. We have it on Sunday morning at the traditional time. It's organized in a traditional way. And it bears a traditional name. That's the way it's going to be and should be at my church. And our Sunday school is doing well and continuing to improve. Traditional Sunday school can still thrive in our culture if we keep it invigorated and founded on a sound philosophy of ministry and focused purpose. As a pastor I am learning that training is the key. My job is to equip those who answer the call to serve - our directors, teachers, care group leaders, and outreach leaders. I've never had an original idea about Sunday school. (Actually, not about many things at all.) But I've boiled down our Sunday school's purpose to three key priorities: Reaching People, Teaching People, and Ministering to People. (Thank you Alan Taylor) I'd like to say that everyone has caught on, but they haven't. I am glad to see that a few are beginning to "get it." Sunday school is still in most Baptist churches the largest organization poised to reach people. It's already there. We just need to be intentional and work hard to leverage its potential for outreach to the unchurched. Don't give up on Sunday school; start learning how to do it better. If you've got any ideas that have been effective for you and your church I would love to hear about it. Sometimes the old stuff is still the best stuff! For over 600 years Christians have found The Imitation of Christ stirring and challenging. 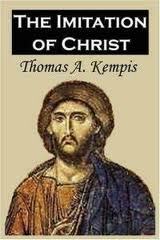 Thomas a Kempis (1380-1471) is credited with writing most, if not all of this classic devotional work. When I taught a class called "Classics of Christianity" I used this one, along with John Bunyan's The Pilgrim's Progress and Augustine's Confessions. Thomas was a late Medieval monk of the order of the Brothers of the Common Life. He eventually became a priest. Historically speaking, his life and work were by most accounts unremarkable. He blended into his time the way most of us do in our own. Nevertheless, he did leave behind this masterpiece of devotion. As one would expect, aspects of Roman Catholic practice and theology are sprinkled throughout. However, as a Baptist, hence a child of the Reformation, I have found it incredibly helpful. I've read it more than once and am right now soaking up its pages again. The Imitation of Christ is an easy read and short (my copy is only 160 pages). However, it is a challenging read. It will hit you right in the areas of pride and vanity in surprising ways. You'll discover you never knew how much pride you possessed and how antithetical pride is to living like Christ. I encourage you to pick up a copy or check it out at the library. It's a classic every Christian ought to know. So, if you're looking for the newest devotional that is both spiritual and practical, add something new that is old-The Imitation of Christ. I am launching this blog in anticipation of the release of a new book that I edited and contributed to that will hit book store shelves November 1. My hope that in classrooms and in pastors' studies that this book will generate discussion about important issues related to American history and Christianity. 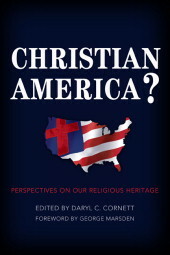 The goal of the book is take the reader through four different historical interpretations that attempt to explain to what degree and in what ways Christianity has been part of American identity. Ultimately, I hope that by trying to get a clearer picture of our past, we can chart a more effective strategy for Christians and churches to be salt and light in our country. I hope you'll read the book and join the discussion. In the future, this blog will be devoted to issues of history and ministry. The name of the blog, "A Pastor's Progress" is a complete rip off of John Bunyan's classic work. I feel, howeer, that the idea of pilgrimage and progress is fitting for me. I have been in vocational ministry for over 20 years. I've been blessed to have some wonderful opportunities. God has seen fit to allow me to work in youth ministry, education ministry and to pastor. It was a joy to also spend eight years teaching church history at Mid-America Baptist Theological Seminary in Memphis. Today, I'm pastor of the First Baptist Church in Hazard, Kentucky. As a pastor I am on a journey to honor God in my ministry and lead a church effectively for His glory. As a historian (primarily interested in Reformation, American and Baptist studies) I believe we have so much to glean from the past that will make us more faithful servants of Christ in the present. A large part of me for years has refused to enter the blogging world. I have thought it to be a modern expression of our ever growing narcissistic tendencies. Also, I've thought it to be a poor use of my time. Hopefully, now that I'm choosing to blog, I can quickly discern if indeed it's a passing whim of self-centeredness or in someway serves a purpose other than my own ego. My desire is neither to feed my pride or waste my time. We'll see.